Honeymoons are traditionally the one time we make a grand romantic gesture. Alexa’s unique concept and dedication to romantic experiences offers couples the perfect excuse for an intimate escape. Alexa can be chartered for wedding anniversaries, Valentines Day, or impromptu getaways to reconnect with our partners in life on an adventure in awe inspiring natural habitats. Alexa was born from the desire to create memories to last a lifetime with one’s true love. 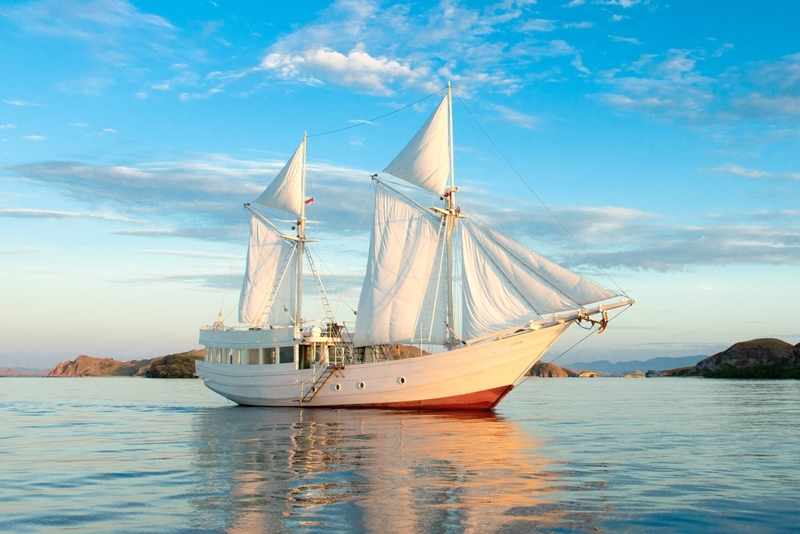 She is the only single cabin vessel of her kind in the world, designed specifically for couples to experience romantic adventures in Indonesia’s most pristine and isolated regions. Pamper yourselves with privacy and a blanket of isolation in exotic Indonesian wilderness. With every conceivable amenity onboard and a crew catering to your every whim, Alexa offers experiences that are as extraordinary as your love for each other. Beyond the reach of traditional travel, Alexa will take you to forgotten islands where you can be totally alone. 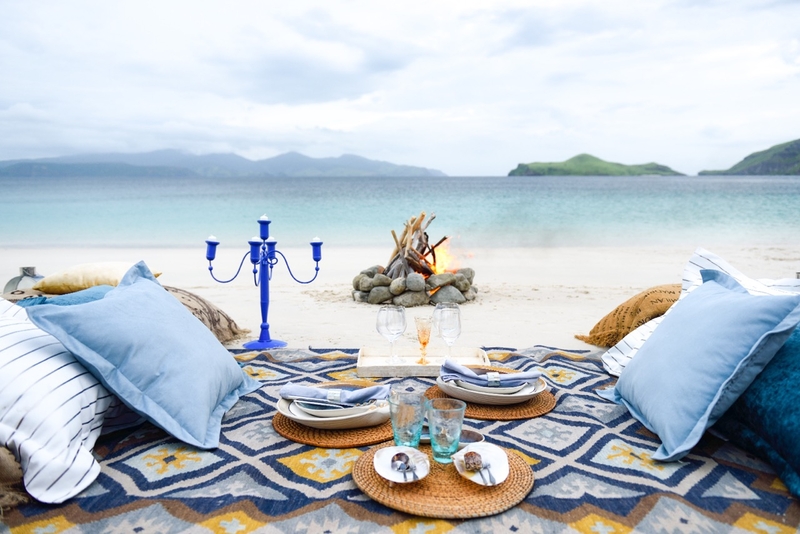 Let the crew set up a full-sized bed with blankets on the sand and sleep under the stars. Experience an Alexa picnic with cushions and blankets, or have a massage with Alexa’s onboard spa therapist in shallow turquoise water on a white sand beach. With no one around for miles, enjoy the open air cinema on deck as you enjoy gourmet cuisine and cocktails prepared by Alexa’s incredible crews. Alexa is nothing but an open invitation to tenderness and intimacy: diving into each other’s eyes while watching esoteric sunsets and sunrises, swim naked in crystalline waters, or hold each other tight under the stunning starry sky. Alexa’s decor is a combination of aged teak with stainless steel and tinted glass to create a modern ambiance with the soul of a traditional Indonesian phinisi. 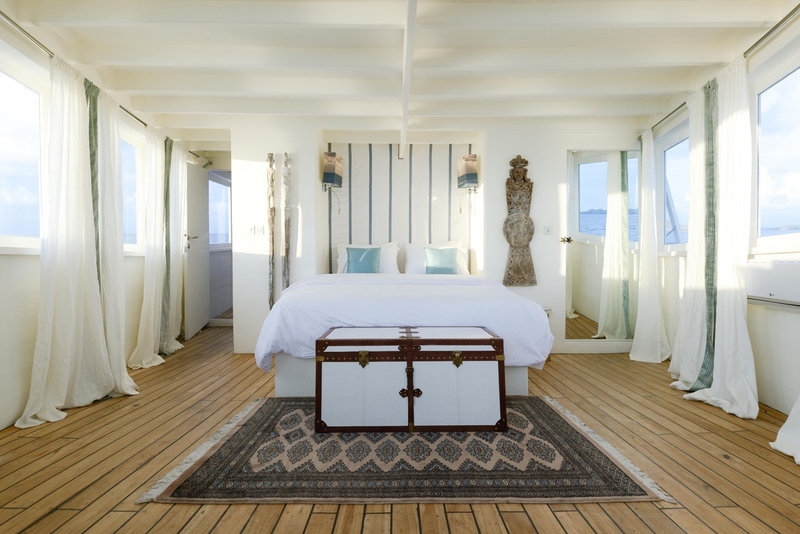 The generous living spaces onboard are filled with silk rugs and primitive sculptures from the islands of Indonesia. Every detail from the finest linens to crystal glasses was chosen with love in mind. 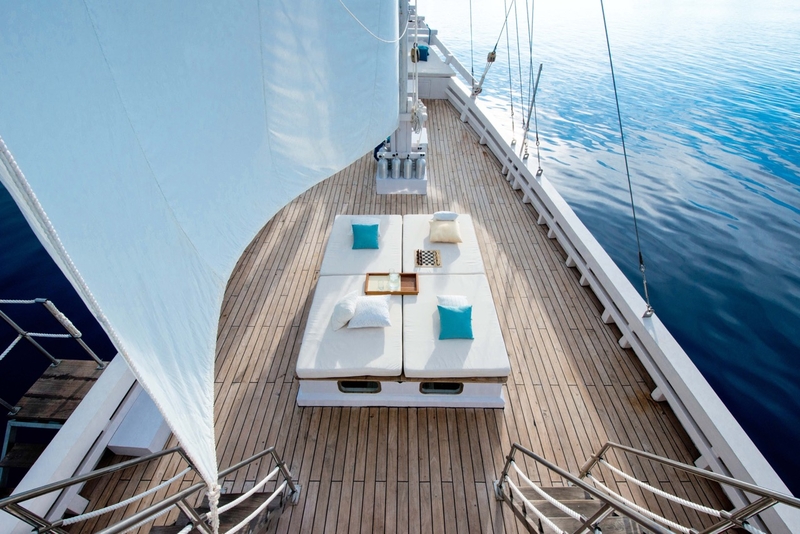 Its single, air-conditioned cabin features a king-size bed enveloped with large wraparound windows offering panoramic views for watching island landscapes as you sail by. Alexa’s well-trained, discreet, and thoughtful crew is always at your full disposal, ready to make real and orchestrate your every desire. The dedicated spa therapist invites guests to indulge into signature treatments, specially designed for total relaxation. ​For active experiences, Alexa’s fully equipped PADI dive center and Instructor will take couples to discover some of the best dive sites in the world. Take your true love snorkeling, fishing, surfing, or visiting local pearl farms or deserted islands - the archipelago is your playground. The Cruise Director will guide you through and help you discover and enjoy untouched islands and coral reefs, the abundant local marine life, or mystical ancient rituals and traditions. Alexa is available for charter in Raja Ampat, the Komodo National Park, the breathtaking islands of Moyo and Sumbawa, the Wakatobi Marine Park, or the Alor Archipelago. From $3,895 - $4,345 per night for two. Cruises have a three night minimum. For inquiries or additional information, please see www.indoyachts.com/alexa.